Now in its 6th year, Conwy Business Awards celebrate the people and businesses that make North Wales great! 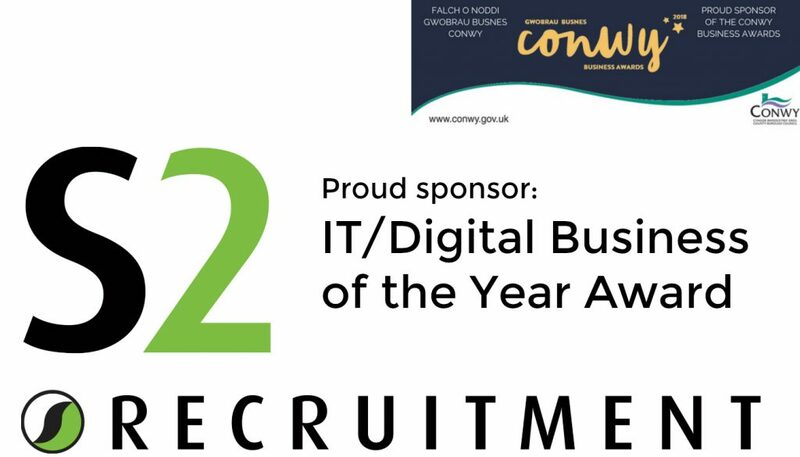 S2 Recruitment is proud to be sponsoring the category of IT/Digital Business of the Year. The award is aimed at Conwy businesses that have exploited technology to deliver an improved customer experience or create an operational advantage using IT/digital tools. The gala event attracts hundreds of local businesspeople from local, private sector SMEs each year and is a fantastic opportunity to catch up with old friends, as well as make valuable new connections. This year, organisers are planning for the awards to be bigger and better than ever before with more than 400 people expected to attend the awards ceremony at Venue Cymru on Friday 18 May 2018. The deadline for businesses to submit their entries is Friday 6 April. You can enter here.